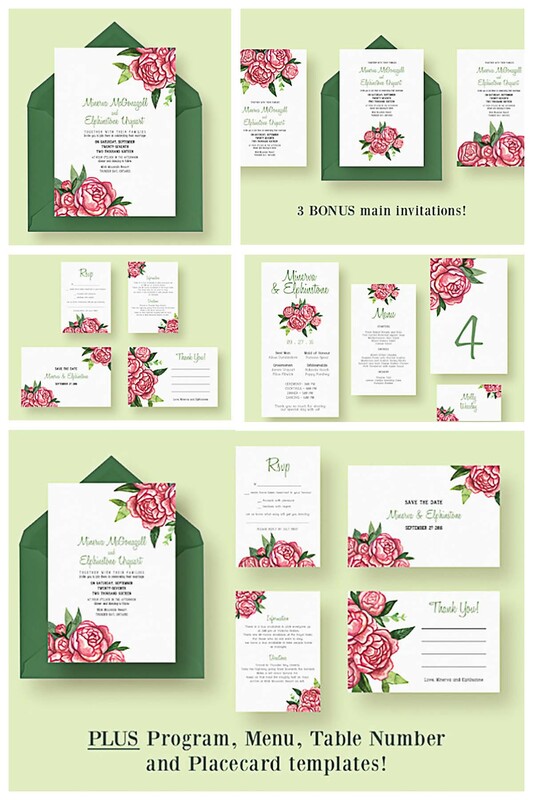 Set of 12 editable watercolor wedding invitations, menu, thank you cards with roses for your elegant designs. File format: .psd for Photoshop or other vector software. Tags: floral, menu, rose, thank you card, watercolor, wedding card, wedding invitation.